We are thrilled to announce the opening of Papagallery Art Association, the premier destination for art lovers in South Florida. We are located in the courtyard at Royal Palm Place, just north of the Farm House Restaurant in Boca Raton, FL. Our gallery features plein air landscape paintings, portraits and still-lifes. The gallery currently showcases the work of Ralph Papa and Shawn Escott. 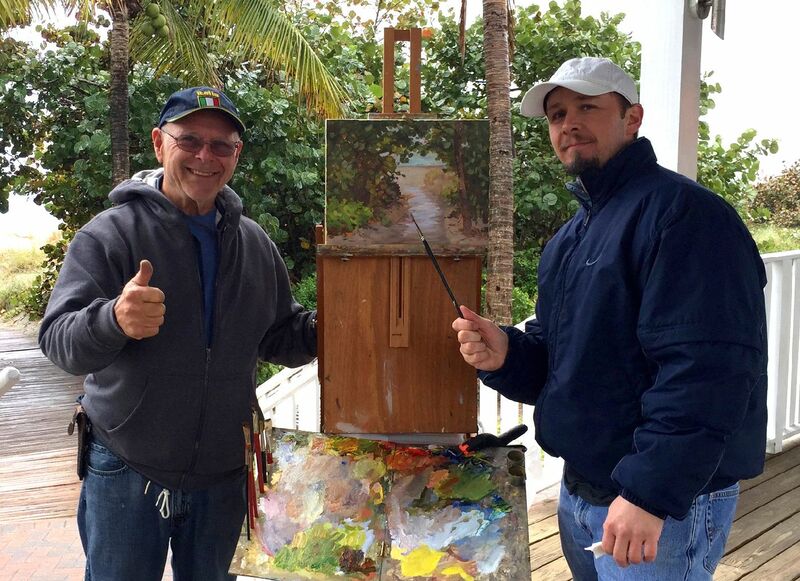 Ralph and Shawn are members of prestigious South Florida art museums and associations, including, the Boca Museum Art School, where they both teach classes, Old School Square and the Lighthouse ArtCenter. Both artists are also on the board of Plein Air Palm Beach, a South Florida meetup group with over 550 members. We invite you to visit the gallery and see the fine art on exhibit.